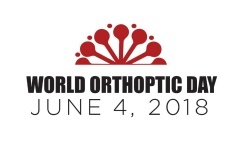 What is World Orthoptic Day? eye health around the globe. 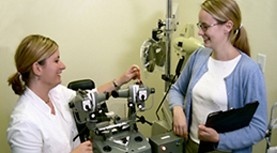 The ophthalmology lab is available for student research. Students have access to well equipped clinical facilities and to a large patient population with a wide variety of cases. Join us for weekly case presentations and discussions. Learn about and use testing methods according to the age of patients. Dedicated to orthoptists promoting visual health globally. We provide students interested in the profession of orthoptics and ophthalmic medical technology with strong theoretical and practical clinical foundations in vision sciences. Our program offers a coherent and dynamic curriculum that meets and exceeds professional practice standards. Students enjoy a learning environment that is optimal for both academic achievement and excellence in patient care. The program includes training in research methods for all students to prepare them for an active role in contemporary evidence based practice. Master’s students complete a thesis project in a research topic of their choice under the supervision of faculty experts. After graduation they may continue their research studies in related PhD programs and pursue careers in research or post-secondary education.